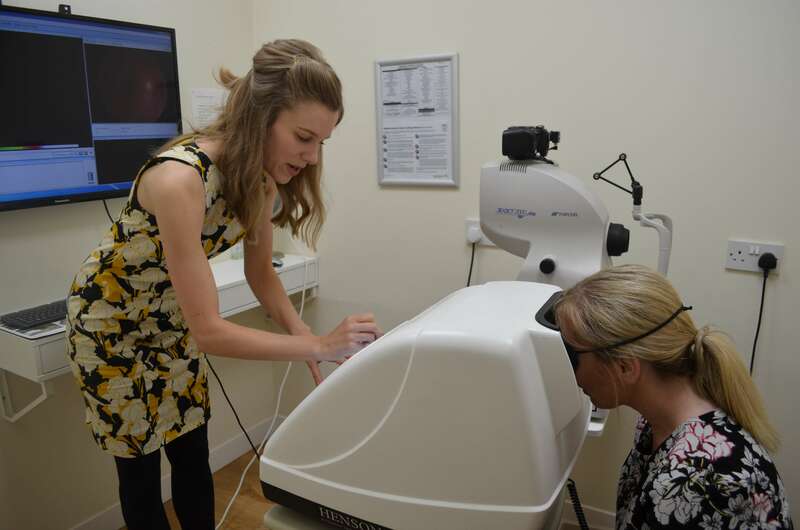 From day one at McCabe’s we have made a point of keeping up to date with the latest developments in eyecare technology. 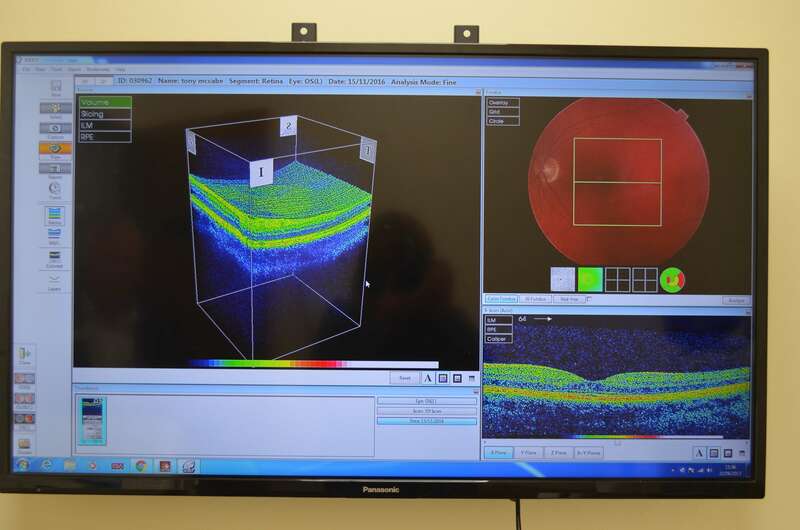 We used digital retinal photography for many years before it became commonly used. At present we have a 3D eye scanner and are currently the only local practice with this. The scanner allows investigation of parts of the eye which can’t be seen by conventional methods. This has allowed us to detect early Macular degeneration, Glaucoma and a host of other conditions which, ordinarily, would possibly go undetected. Local colleagues are welcome to refer patients to us for 3D scanning. As ever, we do not charge patients for this.